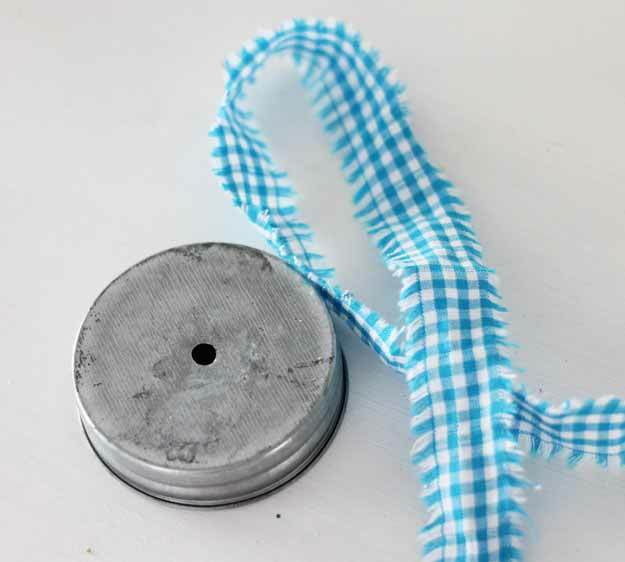 Remove the lid from the jar and place it upside down on the piece of scrap wood. 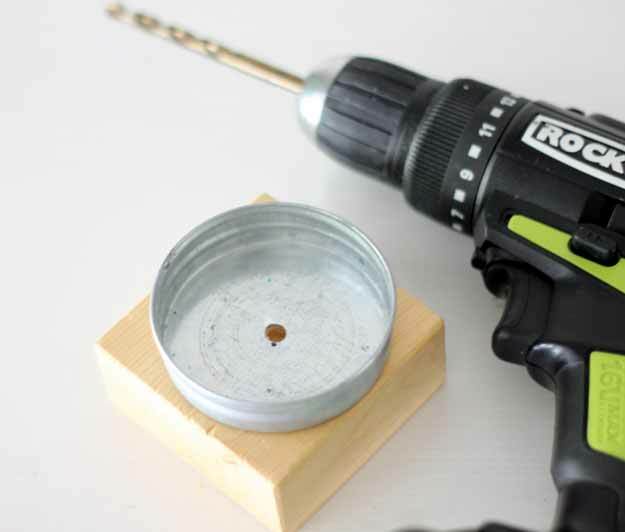 Using a drill with a 3/8 inch bit, hold the lid down firmly and drill a hole in the center of the lid. Next you’ll need a piece of ribbon or fabric strip. I used a 1 inch wide scrap of fabric about 10 inches long. Fold the ribbon in half long way, then fold over the top of the center to create a point in the middle of the ribbon/fabric. 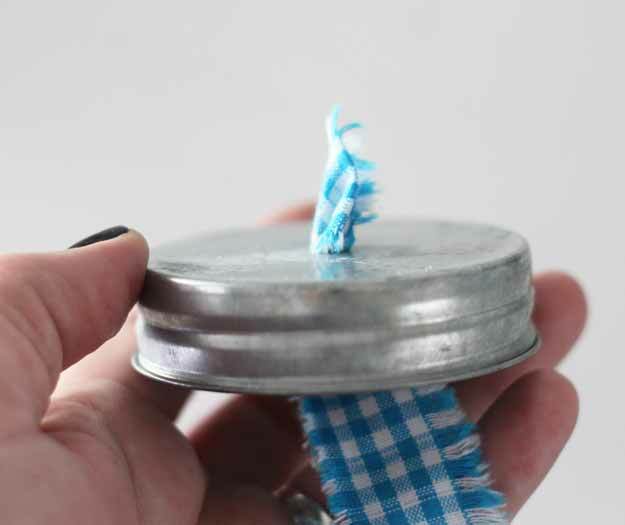 Use the point to thread the ribbon through the hole, pulling it through to have enough space to create the loop, but leaving the ends one the bottom of the lid. 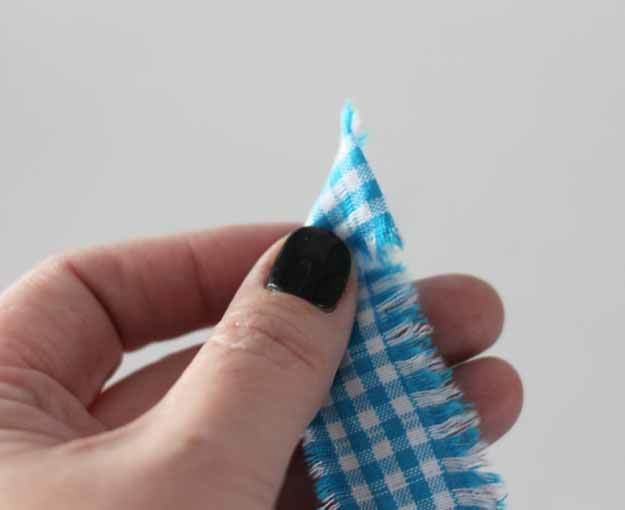 Tie a knot in the ribbon/fabric and trim off the excess with a pair of scissors. 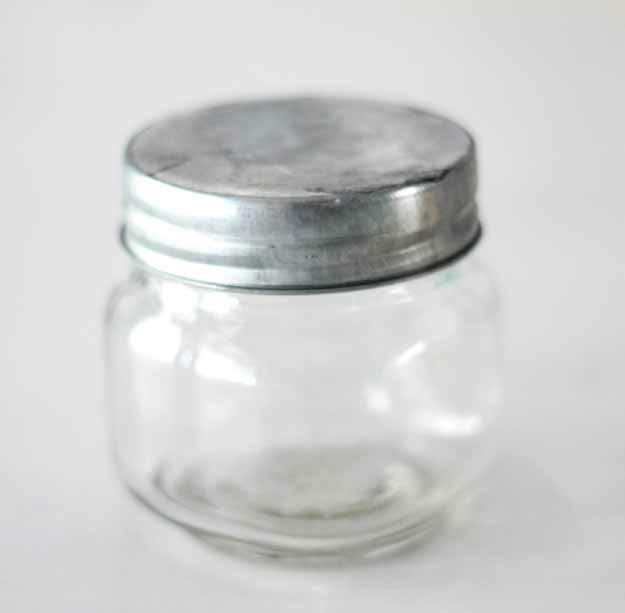 Once your jar is filled, replace the lid and gift to friends. 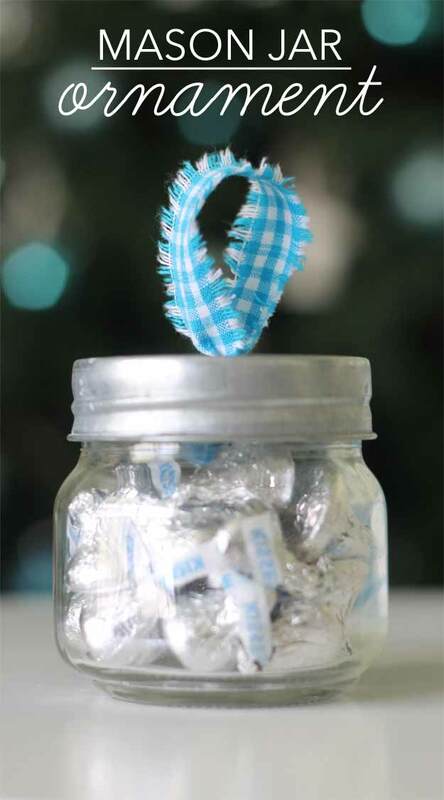 This mason jar ornament makes a great teen gift when filled with nail polish, lip balm, etc. 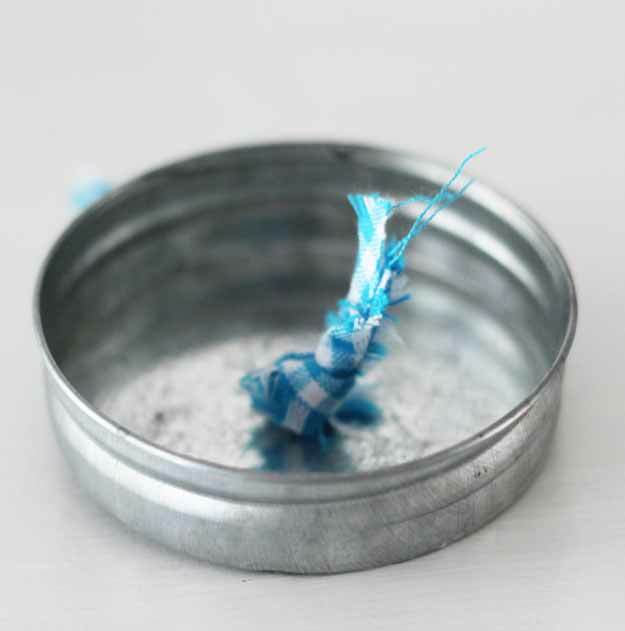 – or you could put in small cars – or jelly beans – the sky is the limit as long as it will fit in the jar! 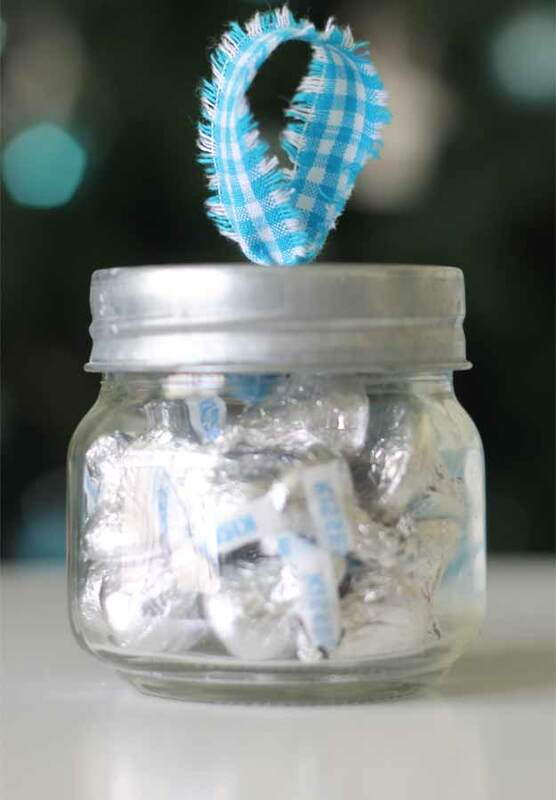 Want more ideas for gifts in jars? Visit my friends who are sharing their ideas!